Over 79 years ago, due to popular response, an Albany High School senior play was renamed The Fort Griffin Fandangle and reproduced by the town months later. The play was written and directed by Robert Nail Jr., an Albany playwright and Phi Beta Kappa graduate of Princeton University. Nail's friend, Alice Reynolds, an Albany native, artist, musician, and graduate of Baylor University, assisted to create a new outdoor style of theater in West Texas. Today, over 250 citizens/actors perform, produce, and stage the big show on an acre-sized amphitheater called Prairie Theater. It has been acclaimed a professional People's Theater by critics. Fandangle commemorates Fort Griffin, an 1867 military post sixteen miles north if Albany. Indian tribes resented intruding settlers. The U.S. government established this fort as protection and the famous Mackenzie pursuits in Northwest Texas against Quanah Parker's tribe started here. Below the fort, along the Clear Fork of the Brazos, a town grew attracting Western Cattle Trail drivers, ranchers, and Buffalo Hunters with hides stacked as high as a two-story building. When cowboys from South Texas arrived, the motley group exchanged money in the gambling saloons creating a desperate, dangerous atmosphere. Well-known Old West names like Wyatt Earp and Doc Holiday first met here and drank and gambled with Big-Nose Kate, Hurricane Bill, Hurricane Minnie, and Lottie Deno. As time passed, a railroad came to Albany, and Fort Griffin was abandoned, but Bob Nail relives these scenes in his Fandangle with horses, wagons, longhorn cattle, a stagecoach, a train, and citizens of Albany cast as gamblers, can-can girls, settlers, Indians, soldiers, buffalo hunters, and our real-life Shackelford County Cowboys. Every Fandangle tells a different tale. Many of the 10,000 people who come to Fandangle return each year to refresh memories of what our ancestors experienced. 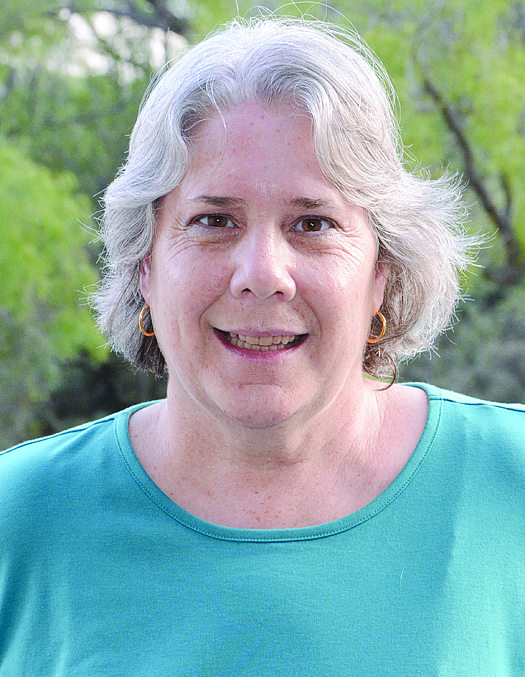 Lorna Ayers is the Artistic Director of the Fort Griffin Fandangle. 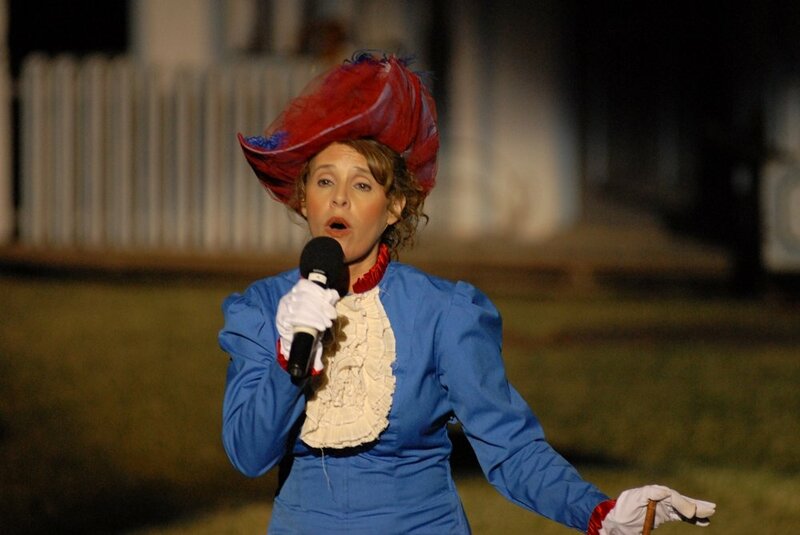 Lorna has appeared in the summer production for over 30 years and has been a featured soloist. Lorna has been the director of Albany's community theater group, Albany Mainstreet Playhouse, since 1999. In that tenure, she has directed over 30 plays and musical featuring adults and children alike. She taught theater arts classes to elementary through high school students through "All the World's a Stage" hosted by the Aztec Theater. Lorna also starred in "Always...Patsy Cline" as the late legendary singer, performing for sold out theaters across the Big Country area and beyond. Although holding a bachelor's degree in nursing, she has always had a love of the theater. Directing the Fandangle has been a longtime dream of hers. "Fandangle has been my family for so long. Some of my favorite memories come from my days spent at the Prairie Theater, singing, dancing and laughing with my friends. The Fandangle is the heart of Albany. It is an honor to continue this legacy." Sandy Abel stepped into the role of musical director in 2014, just the third person to hold the title in the Fandangle’s history. While not an Albany native, Abel has been a part of the community for the last 23 years after moving here to work with a local attorney as a litigation paralegal. But it has always been music that has been the passion of her life. Born in Ranger and raised in Ft. Worth and El Paso, she moved to Oregon during high school. She was already serving as a choral and musical accompanist prior to graduation from Aloha High School, and later earned a degree in music and piano from Portland State University. Abel completed a Masters of Music from Hardin-Simmons University in Abilene in 2001, and has served as a collaborative pianist for productions at the Paramount Theater, Hardin-Simmons and Abilene Christian University. Abel has also taught private piano, organ, and voice lessons. The music director performed in the Fandangle several times when her son, Marc Sanders, was in junior high and high school. Marc and his wife Abigail, are both Hardin-Simmons graduates and are professional collaborative pianists as well. Sandy has a one-year-old granddaughter.